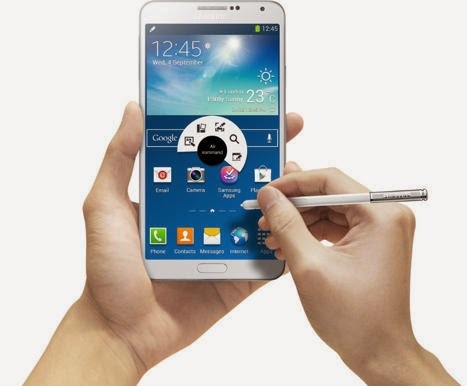 One of the top-selling smartphones of 2013, the Galaxy Note 3, which was considered too big for single-hand use, sold over 10 million units in two months of its launch for its features like S-Pen with the ability to write and draw made it attractive and inspired a melee of top mobile makers to launch similar devices. We at Yahoo spent some time with the device to see if it was worth the hype. The first thing that catches the attention is its out-of-the-box design. Unlike the earlier two plastic-built Note models, the Note 3 flaunts a back panel made of faux leather. The ‘notebook’ design approach makes it attractive. The back panel is easy to remove and replace. The metallic-looking ridge is actually plastic, giving the handset a premium look. The front has a Super AMOLED display with one physical home button and two capacitive touch buttons for menu and back controls. 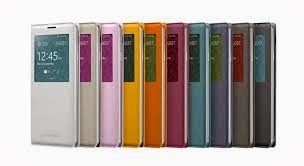 The device is available in Jet Black, Classic White, and Blush Pink. The full-HD Super AMOLED display has a 1080x1920 pixel resolution, rendering sharp-looking text, images and videos. The Note 3 runs on Android 4.3 Jelly Bean and has Samsung's own TouchWiz interface optimized for S Pen. It is powered by Samsung's Exynos 5 Octa 5420 processor. The Note 3 comes with a Li-Ion 3200 mAh battery. The charging speed has improved considerably as has the standby efficiency. On average, a single charge lasts 8 hours. The microUSB 3.0 offers faster data, transfers and charging. Despite its larger display, the Note 3 is slightly smaller than its predecessor. It weighs 168g compared to Note 2’s 182.5g. It has only 8.3mm thickness and does not feel heavy in the hand. In terms of pocketability, it fits both back and front pockets. The Note 3 comes with a 13MP rear and 2.1MP front camera. The camera interface has a few new settings. Though we may not use them daily, but modes such as eraser shot, surround shot, best face, sports mode, animated photo and others come handy on occasions. To the right there is a switch to video button. It can record in 4K for top-quality video. Though the video file sizes are big, they can be easily transferred with microUSB 3.0. On the top right is a collapse menu which is home to shortcuts for technical settings. Here, a user can set auto-stabilization, exposure and social media sharing options. Thanks to microUSB 3.0, charging and data transfer have become faster. Though the Note 3 supports wireless charging, it is not built-in and you need to buy accessories separately. The S View cover supports wireless charging and protects the device without making it bulky. The Note 3 with its 3GB RAM and 2.3GHz processor is one of the fastest handsets around. The Note 3 has a 32GB inbuilt memory, expandable to 64GB with microSD. This large storage helps support 4K video recording and playing advanced games. The S Pen Stylus is a distinguishing feature in this device. Though you may not use it daily, it is handy for use-cases like sketching, and hand-writing memos and notes on apps like SketchBook for Galaxy, Action Memo and S Note. A great tool for the artistically-inclined. With the pace of the mobile market slowing, industry watchers say the next big thing is the smartwatch market. Samsung took it as an opportunity and entered this market quickly with Galaxy Gear. 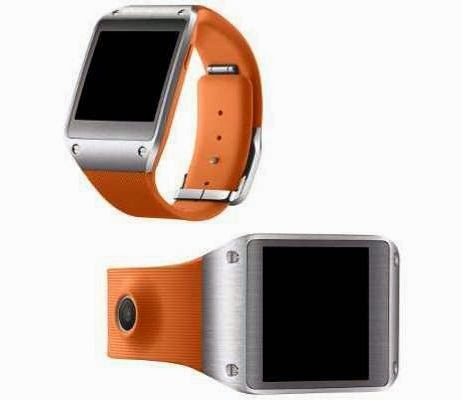 Though there are already some smartwatches around like Pebble and Sony Smartwatch, Samsung brought it out as a paired device with the Note 3. The smartwatch comes with a charging cradle which includes an integrated NFC to connect with the Note 3. Gear can be set up by tapping the charging cradle to the back of the phone. Gear works as an extension to Note 3 and one can perform certain functions without opening the phone. It comes with an in-built pedometer function, a stopwatch and media controls. It has 4GB of inbuilt storage and a camera. It can also make and receive phone calls—but just for those functions, it is priced at a steep Rs. 23,000. Finally, we can say that the Galaxy Note 3 is indeed the best phablet phone of 2013. At Rs. 46,900, this device offers most imaginable features expected of a modern world smartphone. But if you are not looking to use all these features, there are other cheaper devices.